Ed's Fleet - Delivering the Heat since 1947! Annual Maintenance, Service Plans, Emergency Service, Installations and more! Schedule Your Furnace Cleaning Now! Welcome to Ed’s Garage, Inc. 2019 marks our 72nd anniversary! 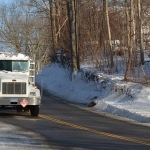 Our fleet has been delivering home heating oil to customers throughout Eastern Connecticut since 1947. We take pride in our reputation for honesty, integrity and exceptional service. Whether you need to fill your oil tank, have your furnace cleaned or replace your heating system, you can count on Ed’s to provide the expert service that our customers have come to know and depend on over the years. Delivering the heat for over 70 years! 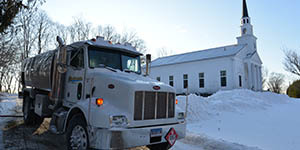 Our fleet has been delivering home heating oil to customers in Windham and New London counties for over seven decades! 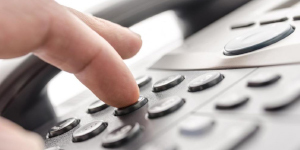 We offer competitive pricing, automatic and will-call delivery programs, budget payment plans and much more. Additionally, we participate in local energy assistance programs including ACCESS, TVCCA, and many others. As an oil customer, you can rest assured knowing our team of service technicians will be there for you when you need them! Our in-house, expertly trained technicians are on call 24 hours a day should you have any problems with your heating unit. With an annual cleaning and tune up, you can prevent service calls and improve the operating efficiency of your furnace. Since the early 1970’s, Ed’s has been manufacturing top quality crushed stone, sand and gravel. 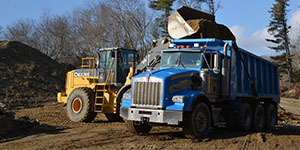 Our materials can be used in a wide range of projects, such as septic system materials, driveway, road and lawn bases, horse rings, volleyball courts and even beach sand! Visit our Sand and Gravel page for more info and to request a quote. 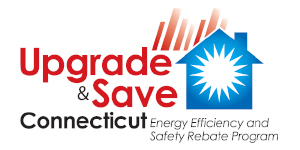 CEMA is offering rebates to homeowners upgrading their heating systems or oil tanks! You may be eligible to receive up to $650! Rebates are extremely limited and restrictions apply. Visit our Services page for more details. Be sure to follow us to stay up to date with news and any current promotions. Have you had a new furnace or tank installed or purchased materials to update your yard or driveway? If so, post and tag us in your pictures – we’d love to see! Check out our blog to see what we’ve been up to. Here, not only can you stay informed on what’s new and exciting in the home heating oil and aggregate industries, but you can learn more about our our company, our employees and our community! We have the best customers – See what they’re saying! ★★★★★ “Ed’s Garage has been our family supplier of home heating oil and furnace cleaning since my Dad built the family home in Bozrah, CT in the early fifties. 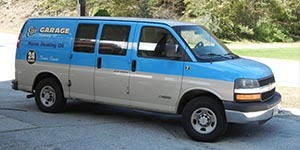 I now have a home in Griswold, CT, my brother now lives in the Bozrah homestead and my sister has her own home in Bozrah, CT and we all still utilize the services of Ed’s Garage. 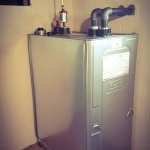 For fuel oil, furnace cleaning, and any furnace updates. ★★★★★ “Celebrating 70 years! No wonder Ed’s is such a great place to do business! They’ve been honing their fabulous service skills for a long, long time! Hmmm, family business, community oriented, great service, there when we need them. It’s time to schedule your 2019 furnace cleaning appointment. Cleanings are scheduled year round and appointments fill up quickly. Don’t forget about our service plans and tank inspections! Go green! 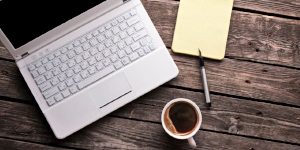 Sign up for paperless billing and e-correspondence from Ed’s.